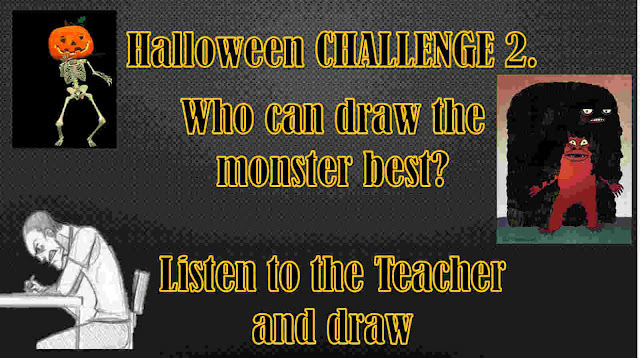 I decided I needed to make my lesson more compact today, as I am performing 4 Halloween lessons this week, 3 different schools. 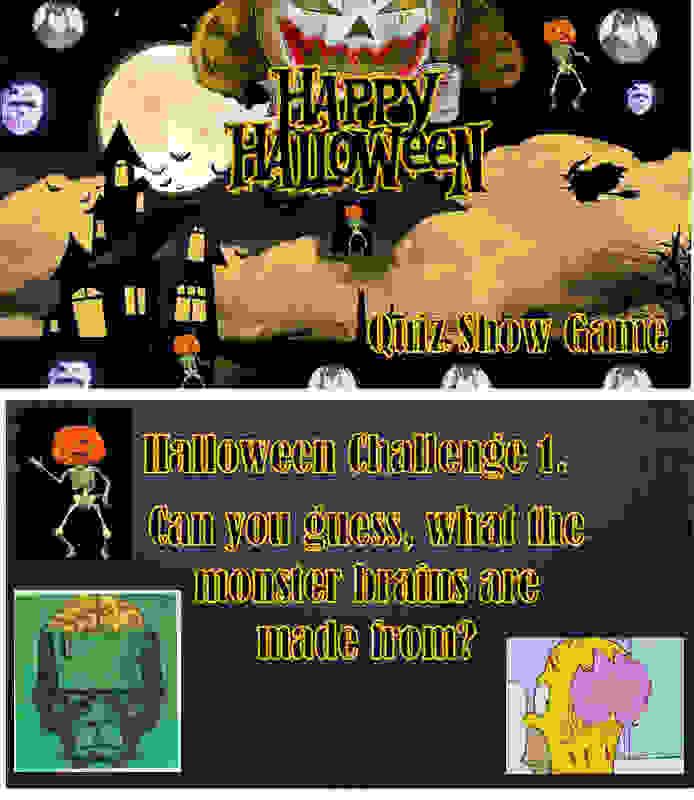 So I decided, what better way to incorporate my Halloween ideas from my last post than to make it all tie together in an easy Power Point Game show! 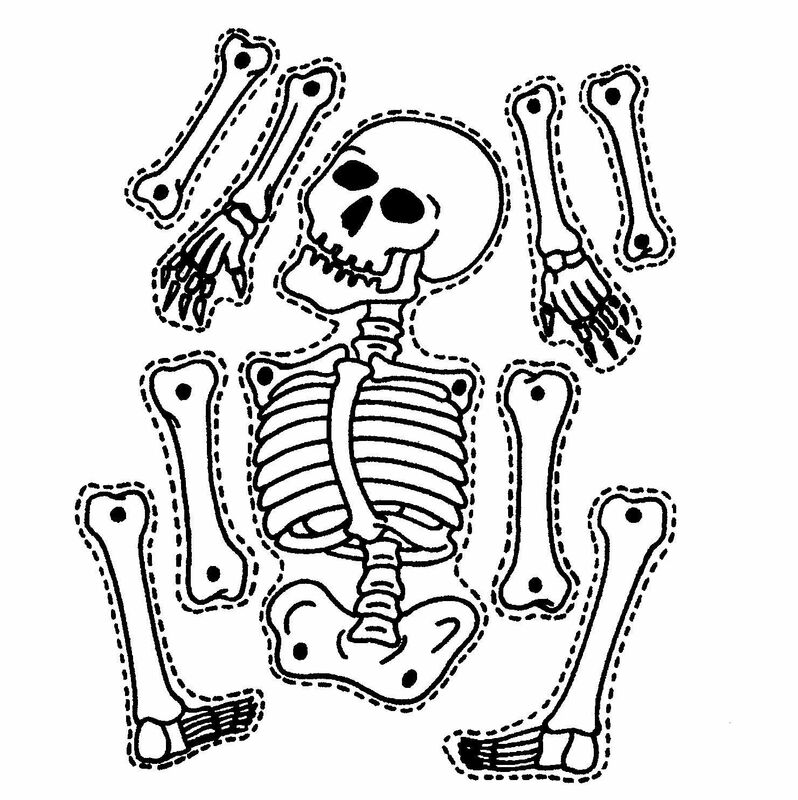 You can download my Halloween PPT and materials included, completely FREE, at my Teachers Pay Teachers store. Consider it a Halloween gift. 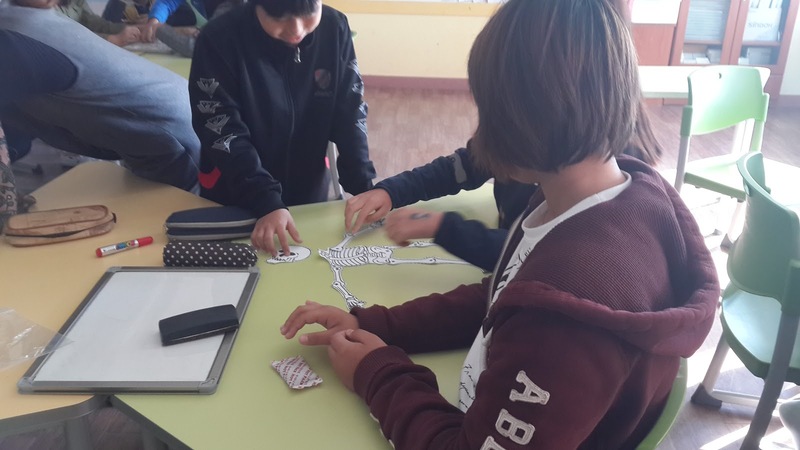 This Halloween lesson will require some preparation on your part, however, if you have no time, you can cut out certain slides. I will order the class desks into groups, probably 4 or 5 groups for my large classes and then for small 2 groups. (teams). 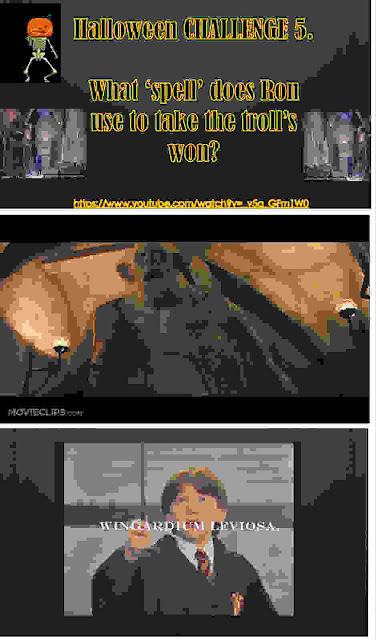 Title slide and first challenge! I am preparing 1 "feel it" box, which is a covered box that will have cooked spaghetti with a little olive oil in a bowl inside it , the kids can't see it. They can all have a feel of it and try to guess what food it is. 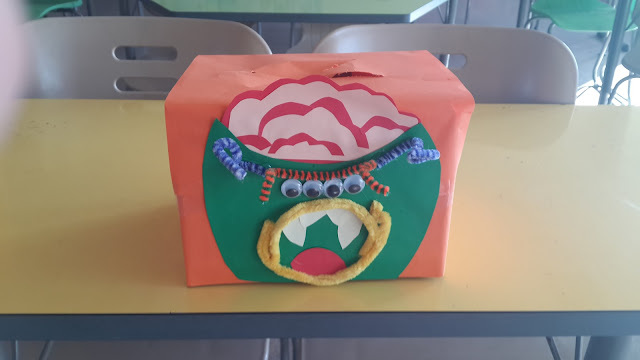 I am going to decorate the box and tell them it's monster brains! 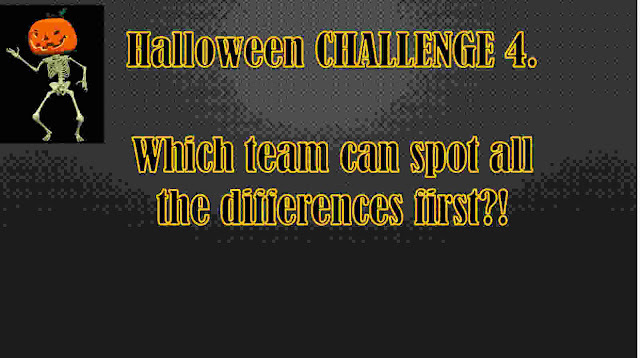 The team to guess the correct food or closest to it will earn a point. Or I'll give them all candy. 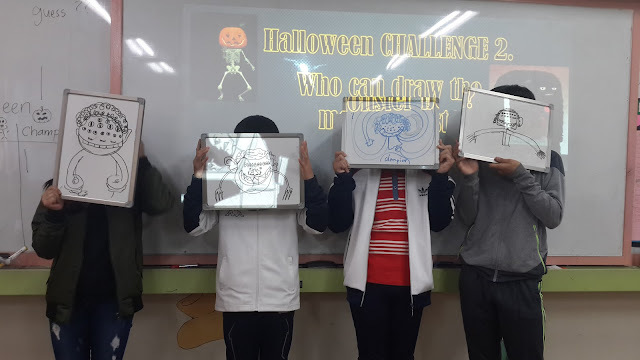 Kids loved this, and since it's the first challenge it set a really fun vibe for the rest of the class. They really enjoyed the team game aspect. This is the box I made, with steps - see post. Here's my kids with their monsters (team reps.) - they all followed the instructions so points for everyone! 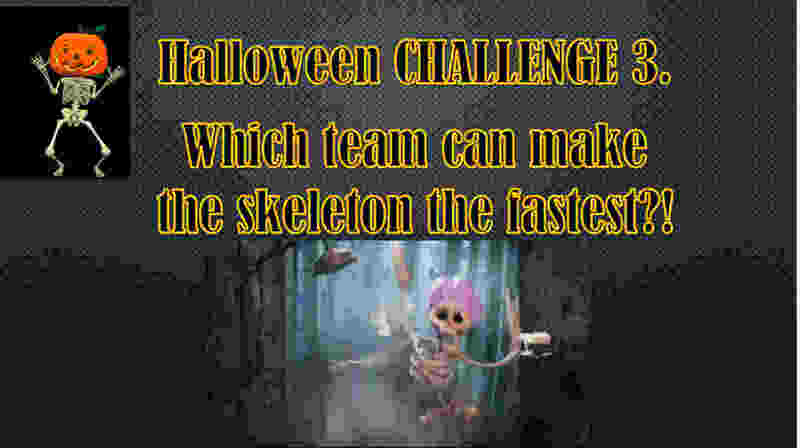 I will have large skeleton bones cut out and the teams will have to try and make the skeleton, whoever makes one complete first, wins. 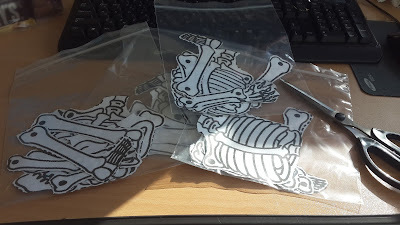 I printed mine on A3 in word. And then cut it up. I cut the torso, pelvis and scull into 3 separate parts. Kids had so much fun racing to be first to make it. 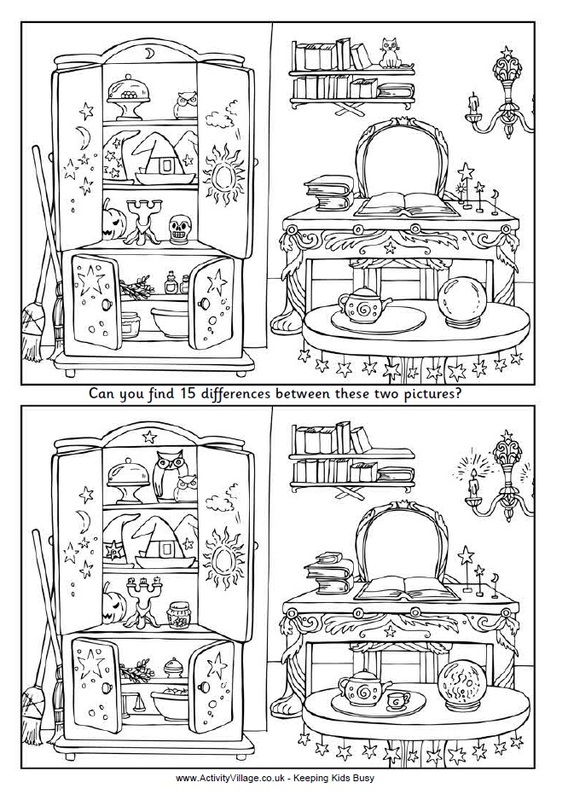 I found these spot the difference worksheets online (free) and according to level I will give them out. 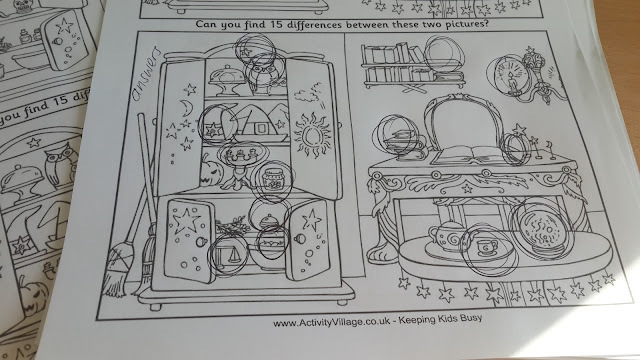 One has the answers on them, so make sure you white it out before you photocopy one (print on A3 if you can) for each team. The team that finishes spotting all the differences first, wins. They love Harry Potter, so I am going to show them this clip and ask if they can remember the spell that Ron says. This doesn't have to get to serious, best team to act it out, wins. You can give them all candy if they all do it well. Have fun. This went really well, in all 3 of my sixth grade classes only one team could get it correct. I just gave the point to the team that was the closest to the correct pronunciation. This is easy and the last challenge. 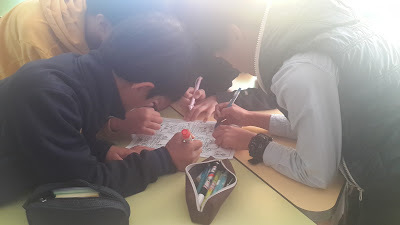 The kids watch the song by Maple Leaf Learning, then you ask which team can write down the correct order that the costumes (or characters) appeared in the song. There's an answer slide too. That's about it. After that we will likely watch a short cartoon and eat jelly worms!